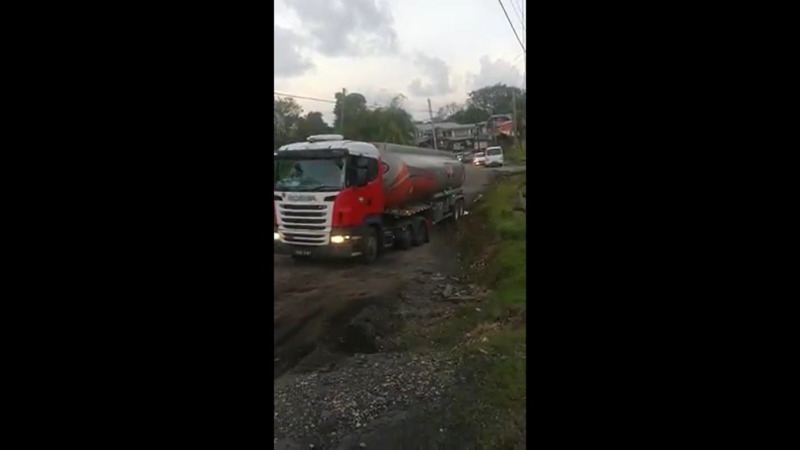 An NP truck became stuck in a landslip along the Naparima-Mayaro Road on Monday, causing distress for commuters and drivers. 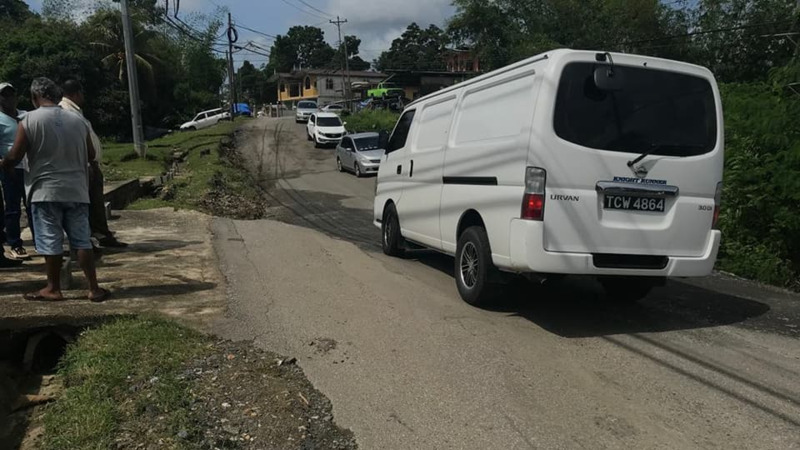 The landslip near Agostini Village in Rio Claro, which has been a concern for some months, reportedly worsened with the passing of large trucks and vehicles. 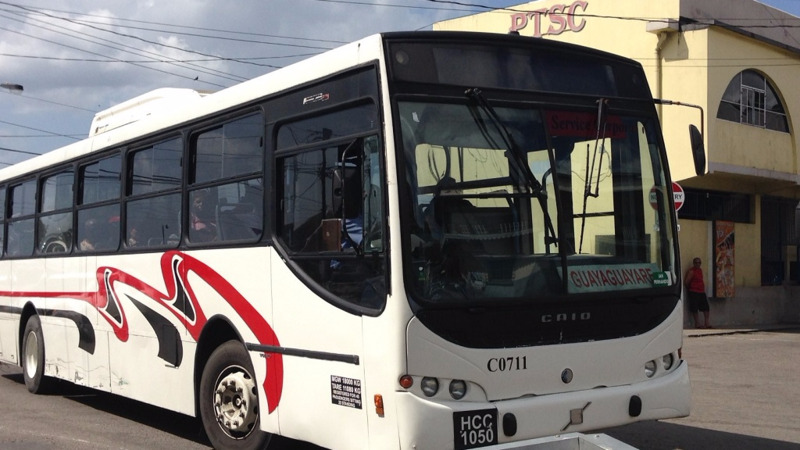 In an update Tuesday, Mayaro MP Rushton Paray said the Ministry of Works and Transport was executing short-term remedial works to allow for a smooth flow of traffic. “I am advised that constant monitoring is ongoing and a contract will be awarded in a couple weeks to repair the roadway,” he said. The Ministry also said in a statement issued Tuesday that work was being done to repair the roadway temporarily, adding that designs and tender documents for permanent repairs had been completed by the Programme for Upgrading Roads Efficiently (PURE) Unit and construction work was due to begin by the end of February. Paray, who made previous calls for assistance in repairing the landslip, also defended against naysayers who criticised his work. 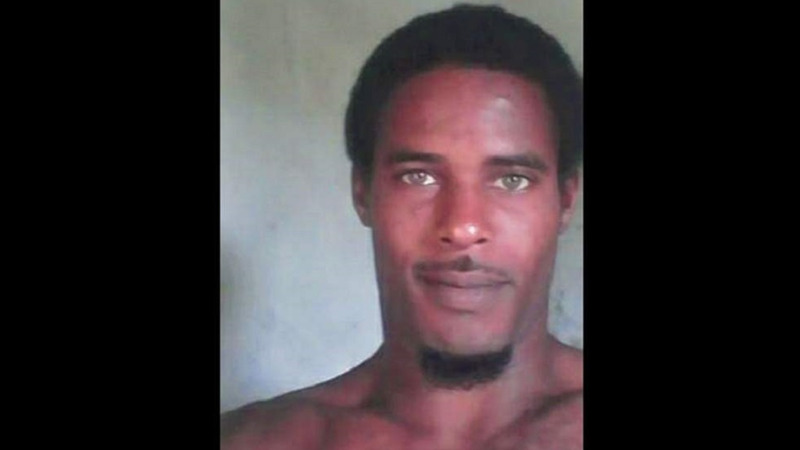 He was responding to a letter to the Editor which was published in the Trinidad Guardian, accusing him of deceiving the public. Paray said he has been raising the issue with Parliament for the past 15 months and had appraised the public of his efforts. “The matter of the Agostini Landslip has been ventilated in all the appropriate places as far as my office will allow. “As Member of Parliament, I have been raising the matter in Parliament for the past 15 months. I have lobbied the Director of Highways, the Minister of Works and Transport and in October 2017, I wrote the Honorable Prime Minister on the matter. All communications were shared via Social Media and Print Media. “All information shared with my constituents regarding the proposed start time for this project was based on responses made in Parliament. I am not in Government to make these dates up. “The writer positions his arguments as if I am deliberately misleading the public for Cheap political milage. Let me make it abundantly clear that I have kept my office far and wide of the political cut and thrust for the past twenty eight months. Paray also responded to accusations that he was ‘conspiring with the PNM’. “I have absolutely no time for foolishness. I will continue to do the best that I can, for as much people as I can in the time I have been given to do so. If at the end of the day, it is not enough, then the people will decide,” he said.